Back in their elements after the opening match debacle, a confident India will have a score to settle when they take on hosts Zimbabwe for the second time in the ongoing cricket tri-series in Harare on Thursday. Zimbabwe had spoiled Suresh Raina's captaincy debut when they inflicted a stunning six-wicket defeat on India in the tournament opener in Bulawayo but the visitors were quick to recover as they thumped Sri Lanka in their second outing to bounce back. At the halfway stage, all three teams have one win and a defeat against their names and India will go all out for a win on Thursday at the Harare Sports Club to put one foot in the June 9 final of the tournament. For India, their batting has been the biggest strength so far as they posted 285 in the first match and chased down 242 with consummate ease in the second tie with 6.3 overs to spare. Batting mainstay Rohit Sharma has been in the form of his life as he slammed consecutive centuries to anchor the Indian innings in both the matches. All-rounder Ravindra Jadeja and vice captain Virat Kohli have also sizzled with the bat. The team, however, has not been served well by its openers. Both Dinesh Karthik and Murali Vijay could not give starts that India is so used to when Virender Sehwag and Gautam Gambhir open the innings. 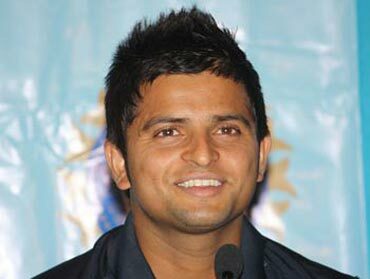 Raina, on his part, looked in good nick in both the matches but the team is yet to get a big knock from the skipper. The last time they met Zimbabwe, it was India's inexperienced pacers which let them down. But in the match against Sri Lanka, the young guns put up a better bowling performance with Ashok Dinda and Umesh Yadav looking better bowlers. The spinners, however, have done a decent job with Amit Mishra and Ojha doing well and Ravindra Jadeja chipping in. Zimbabwe, meanwhile, will require something extraordinary to pull off a repeat performance against the mighty Indians. Their high-flying campaign has already been brought down to earth by Sri Lanka on Tuesday when the hosts were skittled out for a paltry 118 in 24.5 overs in a rain-curtained match. The Lankans led by skipper Tillakaratne Dilshan produced a blistering batting performance to chase down the target in just 15.2 over to inflict a massive nine-wicket defeat on the hosts. 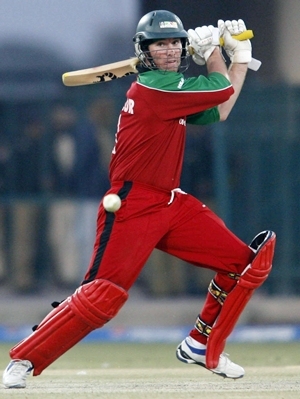 Zimbabwe's batting scorecard wore contrasting looks in the last two matches. While against India, everybody chipped in with meaningful contributions, against Sri Lanka only three could reach double figures. For the hosts, opener Hamilton Masakadza has done the bulk of scoring with scores like 46 and 62 respectively in their last two matches. Other opener Brendon Taylor dazzled in the first match with a 81-run innings but managed just two against Sri Lanka and if Zimbabwe have to stun the Indians once again the openers will have to give them a flying start. Among the bowlers, Chris Mpofu and Prosper Utseya were among the wickets against India but last night they failed completely as none of the bowlers could pick a single Lankan wicket. India: Suresh Raina (capt), Virat Kohli, R Ashwin, Ashok Dinda, Ravindra Jadeja, Dinesh Karthik, Amit Mishra, Naman Ojha, Pragyan Ojha, Pankaj Singh, Yusuf Pathan, Rohit Sharma, Murali Vijay, R Vinay Kumar, Umesh Yadav. Zimbabwe: Elton Chigumbura (capt), Andy Blignaut, Chamu Chibhabha, Charles Coventry, Graeme Cremer, Craig Ervine, Greg Lamb, Hamilton Masakadza, Chris Mpofu, Ray Price, Ed Rainsford, Vusi Sibanda, Tatenda Taibu, Brendan Taylor, Prosper Utseya.